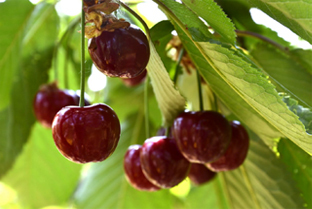 Our cherries grow according to the principles of integrated pest management that call for a production system with a low environmental impact. We have gathering places in Bisceglie, Conversano and Turi with loyal and GLOBAL GAP certified producers. The producer after harvesting cherries takes them directly to the nearest gathering place. Once received the product in our warehouse, we prepare it to processing phase through the hydrocooler (which brings the product to the right temperature). Then we proceed with the phase of storage and processing that includes calibration and then packaging according to the client’s needs.